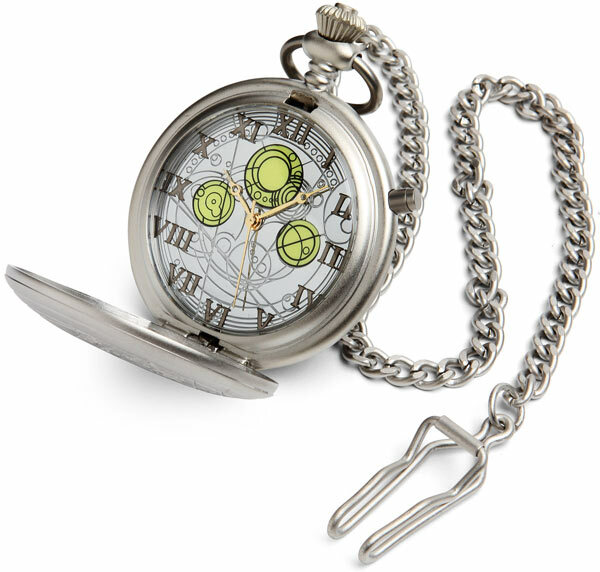 Dr. Who pocket watch… my daughter gave one. No, I cannot time travel. DAMN! Since my childhood, time has fascinated me… probably because I used to CONSTANTLY be late for dinner!! What is strange is that my grandmother sold watches for 25 years and I had a bunch of them… but I never wore them. I would get in SO much trouble for being late. For a long time I was obsessed with being on time, to the point where I had to stop wearing a watch as I couldn’t control time itself. I was only going from home to work and back… what good was the watch doing? I wasn’t driving the bus, so I could only leave the house and let it go… let it happen. I still love watches and I’ve excepted that I’ve started collecting them again… but I think it’s something that I share with my grandmother as she has passed away. I feel like she’s encouraging me when I look at them and when I buy one it makes her happy. I know she’s looking down from heaven smiling. I’ve always loved movies/stories about time travel; Back to the Future, The Time Machine, Dr. Who. The idea that we could travel back or forward through time and affect events is a fascinating thing to me. I’ve also taken to NOT walking the NYC streets while looking at my phone. I’ll listen to music and watch people as they move around in their cocoon. I like to find things to post to Instagram or look at the tourist families enjoying the city. With the warm weather setting in, it’s nice to see the ladies in skirts and heels. We have plenty of time, we just don’t stop to see it. By the way… I highly recommend the movie “In Time” with Justin Timberlake. Not about time travel, but quite thought provoking. Great article. Time is truly precious.